Gardening is a great activity for those later in life as it can have many health benefits and is a great therapeutic activity. Gardening equipment and tools can be used to make an interesting, accessible and productive area. No matter what type of health condition or disability there are activities that can be carried out in a garden which makes this a great activity to include everyone in a care home setting. Gardening is beneficial for people later in life because it is an enjoyable form of exercise, it increases levels of physical activity and helps mobility and flexibility. Spending time in the garden improves endurance and strength and can even prevent diseases such as osteoporosis. Later in life people who don’t have a busy schedule to keep can become inactive quite quickly and having a garden to tend to can make for a great schedule filler. The benefits aren’t just physical but mental too. It can reduce stress levels and allow a person to relax, which leads to better sleep for improved health, both mental and physical. The fresh air can improve mental awareness and can help someone later in life maintain the ability to concentrate and focus. 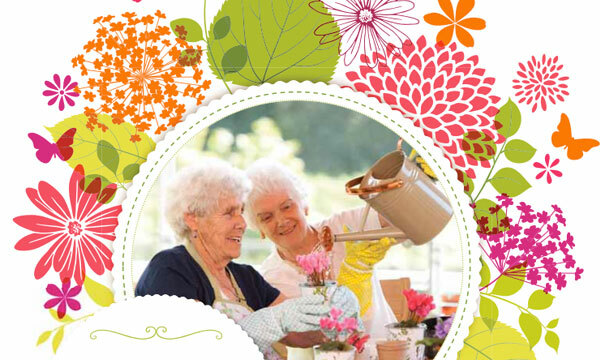 Other mental health benefits from gardening can be the social interaction with neighbours and fellow care home residents and a sense of accomplishment. Falls - If the ground is uneven, someone later in life could potentially fall. The area should be free of sticks, rocks and other hazards. It can also be beneficial to use a cane or walker while outside. Overheating - People later in life may not be able to sustain high temperatures outside for as long as they used too and is important they stay inside during the hottest hours of the day and keep hydrated whilst working in the garden. Forgetfulness - A person who suffers from dementia may become disoriented. If you have a relative who suffers from dementia be sure to keep an eye out for them if they are working in the garden. In order to make gardening safe be sure to use patio plants that can be placed at waist level and create raised flower beds to avoid the need to bend over excessively. Your tools are also important and you can buy ones that are lightweight and easier to handle. Consider creating an area of shade where you can rest if the temperatures and sun get too hot. The best solution to this is working in the earlier or later hours in the day when the temperatures are lower. 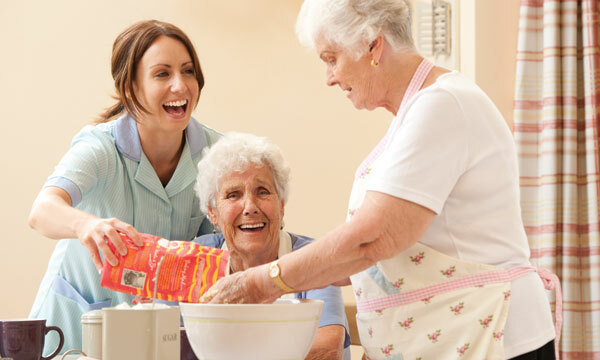 If you would like to know more about the activities that could be suitable for you and what activities we offer in our care homes, visit one our dedicated activities page.